SEARCHING FOR SUGAR MAN is an interesting story but a bad documentary. Indeed, it's less a documentary than an anecdote. In the early 1970s, a Mexican-American folk singer called Sixto Rodriguez made two wonderful albums but achieved no commercial success in the USA. This mournful, self-effacing man then went back to hard manual labour and a hand-to-mouth existence. Meanwhile, the album, with its anti-establishment lyrics, became super successful in apartheid riven South Africa, but the royalties and the recognition never found there way back to Rodriguez. Finally, in the mid 1990s, some South African music lovers tracked Rodriguez down using the internet and staged a comeback concert tour. Still, nothing much changed for "Sugar Man". He remains, as he was, a modest, quiet, working man. The documentary is a nonsense. It opens with urban legends about Rodriguez' supposedly outlandish suicide - rumours that it never tracks down to their source, and which Rodriguez seems reluctant to discuss. The doc also drops the ball on where all the royalties went - interviewing an irascible record exec and then just refusing to dig any deeper. What we get instead is filler. An investigative journalist doing not much investigating but looking things up on a map. And concert footage filmed from 1998. It rather begs the question, "why now?" for this doc. All in all, be aware of the anecdote and spend your money on his albums rather than a ticket to this film, which doesn't even tell us if he's receiving royalties now. 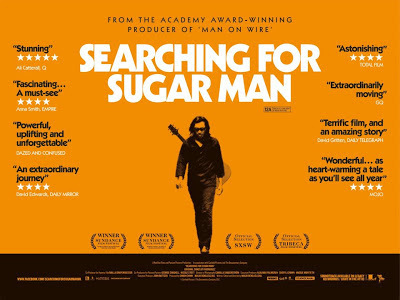 SEARCHING FOR SUGAR MAN played Sundance 2012 and is currently on release in the UK, Ireland, and the USA. It opens in Sweden on August 24th, in Denmark and Australia on October 4th, in New Zealand on October 11th, in the Netherlands on December 20th, in Norway, France and Germany on December 27th, in Poland on February 22nd, and in Japan on March 16th. 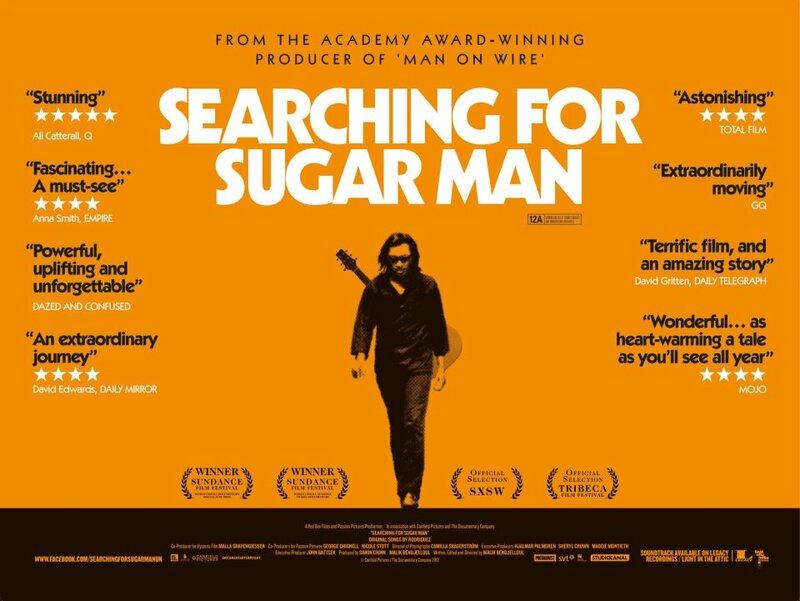 SEARCHING FOR SUGAR MAN is rated PG 13 in the USA and the running time is 86 minutes.